Photo: Rock in a barren desert. Deserts are arid ecosystems that receive fewer than 25 centimeters (10 inches) of precipitation a year. Death Valley, California, above, receives fewer than 5 centimeters (2 inches) of rainfall every year. However, Death Valley's infrequent rain and extreme temperatures can impact the landscape. 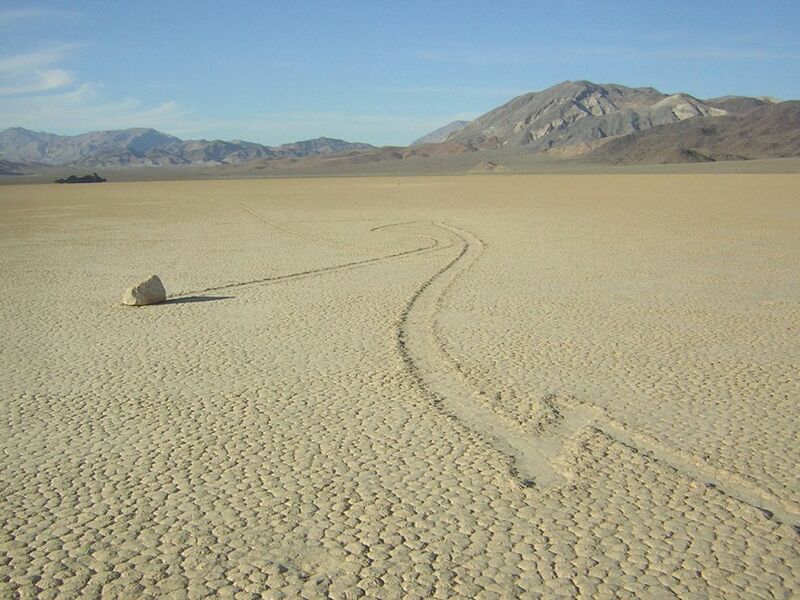 This rock's path was created when rainfall produced a shallow lake, which formed a thin layer of ice. The rock was trapped in the ice as it scoured the desert landscape. The ice melted, leaving its tracks in the dried mud.